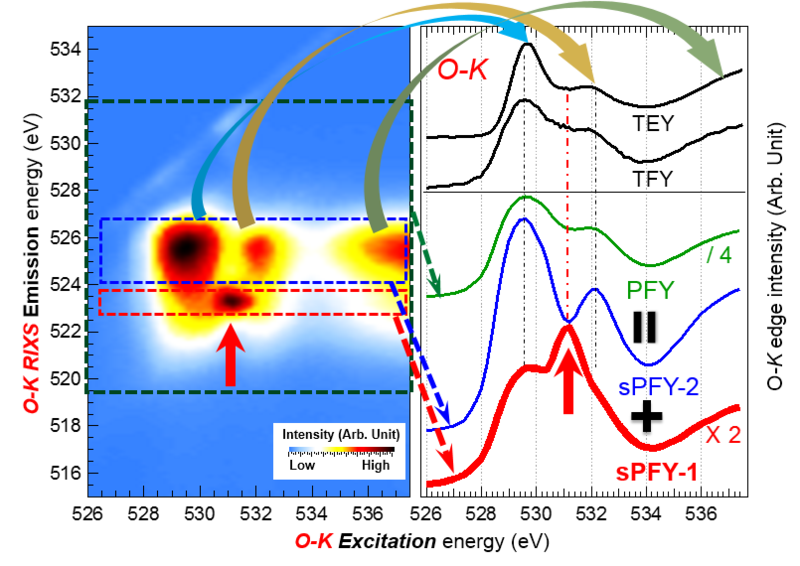 (current focus) Synchrotron based soft X-ray spectroscopy: soft X-ray absorption (sXAS), X-ray emission (sXES), Resonant Inelastic X-ray Scattering (RIXS), high-effeciency full-energy-range mapping of RIXS (mRIXS). (limited/past effort) Ultraviolet Photoelectron Spectroscopy (UPS), and Core level X-ray Photoelectron Spectroscopy (XPS), Angle Resolved Photoelectron (ARPES). (current focus) Materials for energy applications, including materials for energy storage, photovoltaic, and catalysts. (limited/past effort) Molecular crystal systems and nanoclusters; highly correlated materials. Updated Publication List on Web of Science Here! WE Gent, K Lim, YF Liang, QH Li, T Barnes, S-J Ahn, KH Stone, M McIntire, J Hong, JH Song, Y Li, A Mehta, S Ermon, T Tyliszczak, D Kilcoyne, D Vine, JH Park, SK Doo, MF Toney*, WL Yang*, D Prendergast*, WC Chueh*. (Topical Review) QH Li, RM Qiao, LA Wray, J Chen, ZQ Zhuo, YX Chen, SS Yan*, F Pan, Z Hussain, WL Yang*. (Manganese) Qiao, R., Dai, K., Mao, J., Weng, T.-C., Sokaras, D., Nordlund, D., Song, X., Battaglia, V. S., Hussain, Z., Liu, G.*, Yang, WL*. Revealing and suppressing surface Mn(II) formation of Na0.44MnO2 electrodes for Na-ion batteries. (Nickel) Qiao, R., Wray, L. A. *, Kim, J.-H., Pieczonka, N. P. W., Harris, S. J., Yang, WL*. 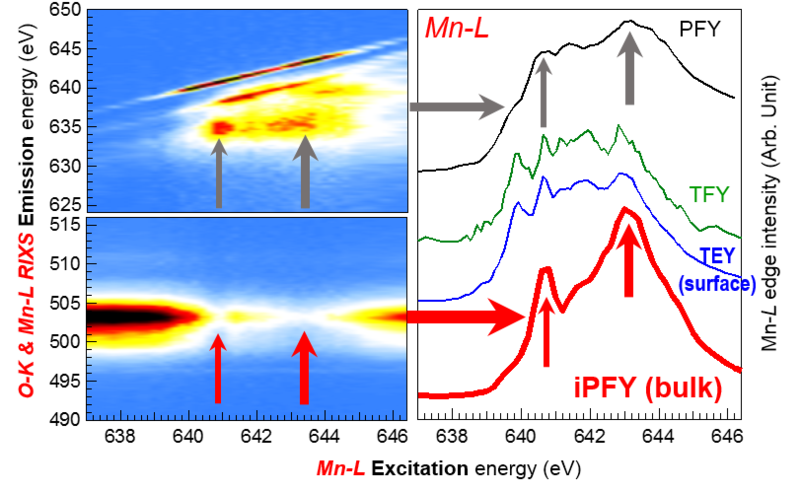 Direct Experimental Probe of the Ni(II)/Ni(III)/Ni(IV) Redox Evolution in LiNi0.5Mn1.5O4Electrodes. (Iron) Liu, XS; Liu, J; Qiao, RM; Yu, Y; Li, H; Suo, LM; Hu, YS; Chuang, YD; Shu, GJ; Chou, FC; Weng, TC; Nordlund, D; Sokaras, D; Wang, YJ; Lin, H; Barbiellini, B; Bansil, A; Song, XY; Liu, Z; Yan, SS; Liu, G; Qiao, S; Richardson, TJ; Prendergast, D; Hussain, Z; de Groot, FMF; Yang, WL*. (sXAS & sXES)Liu, X., Wang, Y. J., Barbiellini, B. *, Hafiz, H., Basak, S., Liu, J., Richardson, T., Shu, G., Chou, F., Weng, T. C., Nordlund, D., Sokaras, D., Moritz, B., Devereaux, T. P., Qiao, R., Chuang, Y. D., Bansil, A., Hussain, Z., Yang, WL*. 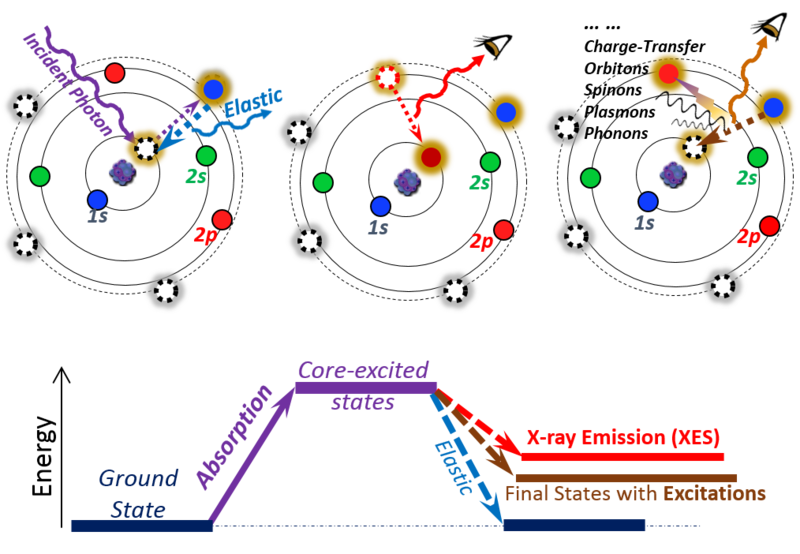 Why LiFePO4 is a safe battery electrode: Coulomb repulsion induced electron-state reshuffling upon lithiation. (C-K) Liu, G*; Xun, S; Nenad, V; Song, XY; Olalde-Velasco, P; Zheng, HH; Battaglia, VS; Wang, LW; Yang, WL*. (C-K, O-K) Qiao, RM; Lucas, IT; Karim, A; Syzdek, J; Liu, XS; Chen, W; Persson, K; Kostechi, R; Yang, WL*. (C-K, O-K) ZQ Zhuo, P Lu, C Delacourt, RM Qiao, K Xu, F Pan*, SJ Harris*, WL Yang*. (Li-K) RM Qiao, Y-D Chuang, SS Yan*, WL Yang*. Recent Progress on Synchrotron-Based In-Situ Soft X-ray Spectroscopy for Energy Materials. (Solid-state in-situ) Liu, XS; Wang, DD; Liu, G*; Srinivasan, V; Liu, Z; Hussain, Z; Yang, WL*. Olalde-Velasco, P; Jiménez-Mier, J; Denlinger JD; Hussain Z; Yang, WL*. Yang, WL; Sorini, AP; Chen, CC; Moritz, B; Lee, WS; Vernay, F; Olalde, P; Denlinger, JD; Delley, B; Chu, JH; Analytis, JG; Fisher, IR; Ren, ZA; Yang, J; Lu, W; Zhao, ZX; Brink, J van den; Hussain, Z; Shen, ZX; Devereaux, TP. Yang, WL; Fabbri, JD; Willey, TM; Lee, JRI; Dahl, JE; Carlson, RMK; Schreiner, PR; Fokin, AA; Tkachenko, BA; Fokina, NA; Meevasana, W; Mannella, N; Tanaka, K; Zhou, XJ; van Buuren, T; Kelly, MA; Hussain, Z; Melosh, NA; Shen, ZX. Yang, WL; Brouet, V; Zhou, XJ; Choi, HJ; Louie, SG; Cohen, ML; Kellar, SA; Bogdanov, PV; Lanzara, A; Goldoni, A; Parmigiani, F; Hussain, Z; Shen, ZX.